Mycotoxins are toxic and carcinogenic metabolites of low molecular weight that are produced by certain species of fungi and pose one of the greatest threats for the safety and quality of food and feed. Mycotoxins are able to contaminate food and animal feed causing acute or chronic toxicity on humans and animals. The losses of foods due to mycotoxins and the expenses for their management have increased dramatically worldwide. Remarkable is the fact that more than 25% of agricultural products are contaminated annually with mycotoxins worldwide (FAO). Most of the mycotoxins are very stable and cannot be degraded during the processing of the agricultural products. Similarly, the presence of these toxins in feed can have as a result their transport to animal products that are intended for human consumption resulting in severe consequences for the human health even death. So, it is common that there is a continuous risk of mycotoxins “from the farm to the fork”. It is also foreseen that climate conditions and/or production practices may have an impact by favoring growth of mycotoxigenic fungi and consequently mycotoxin production. The European Union legislation is very strict on the presence of mycotoxins in various products and makes imperative the discovery of effective solutions. The economically effective solutions are those that with the help of agricultural precision technology and knowledge will contribute to the exclusion of fungi from the plant-host and/or the restriction of mycotoxin production in their hosts or downstream to the production line with the help of an Integrated Pest Management (IPM) system that will be friendly and sustainable for the environment. Ochratoxins are a group of mycotoxins produced by some Aspergillus and some Penicillium species that last years have received a particularly increasing interest from the scientific community, the European Union, the national food associations, the food industry and consumer unions because of their particularly detrimental consequences in humans and animals. The most studied is the ochratoxin A (OTA) with carcinogenic (Class 2B, IARC), nephrotoxic, teratogenic, immunocompromised and potentially neurotoxic attributes. OTA is common worldwide and can contaminate several agricultural products such as grapes, cereals, grains of coffee, cocoa, dry fruits (i.e. raisins/currants). It has also been detected in processed foods based on cereals, wine, coffee, beer as well as the juice of grapes. Samples from grapes as well as their various derived products such as raisins/currants, grape juices and wines from southern Europe have been found frequently contaminated with OTA and have a considerably higher degree of contamination from the corresponding samples of northern Europe; red wines are more frequently found positive with higher levels of contamination than white ones. Provisional estimates of the Codex Alimentarius Commission, based on limited European data, suggested that red wine is the second major source of human exposure to OTA, followed by the cereals and preceding coffee and beer. The detection of OTA in grapes has raised public concern about the risk health from the consumption of grapes forcing EU to set a limit of 2 ppb of OTA. OTA constitutes a severe problem for viticulture and is produced mainly by various fungal species of the genus Aspergillus and Penicillium. 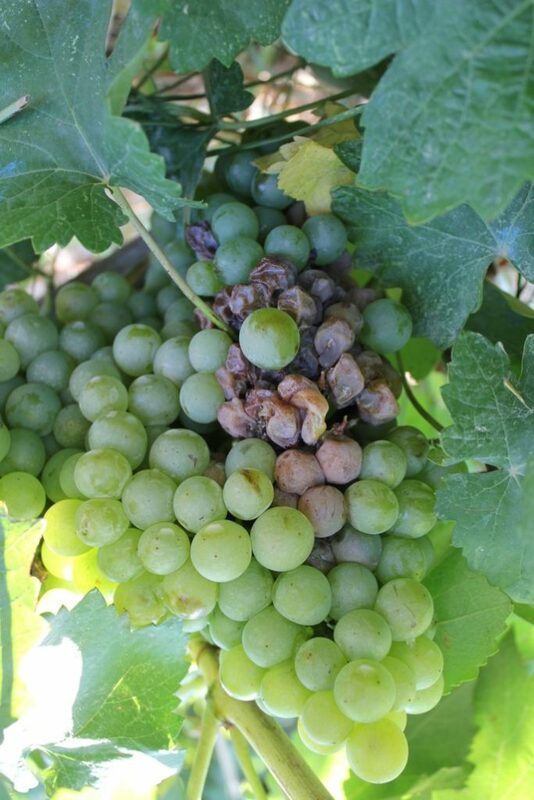 Among the Aspergillus species isolated from grapes, those belonging to A. niger and A. tubingensis dominate on grapes but only 5-10% from these strains produce OTA. In contrast, A. carbonarius is considered to be particularly important since almost 100% of the isolated strains produce OTA; therefore, it is confirmed as the main OTA producer in grapes. OTA in grapes and wine has been largely reported since 1996 in several European countries. A. carbonarius is additionally the part of the pathogen complex of sour rot disease that affects significantly the cultivation of the vine, adversely affecting the organoleptic characteristics of wine as well as the consumer safety. The management of A. carbonarius is very difficult, being mainly dependent on weather conditions. The last part of grape ripening is crucial for OTA synthesis. In optimal conditions for fungi, the multiple applications of systemic fungicides (e.g. cyprodinil/fludioxonil) are required even quite close to harvest time. 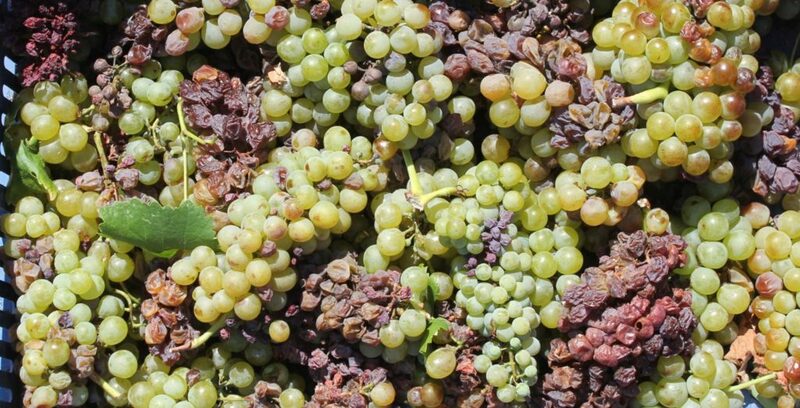 Higher contamination has been reported for dessert wines, due to over maturation and drying of grapes prior to the wine making process, which is in agreement with high contamination reported in raisins and currants. Grape derivatives that are produced in South Europe and North Africa are more severely affected by OTA than the other countries in the middle of Europe. The proportion of wine in which OTA is detected is high (>50%) in some countries, but the legal limit of 2 μg/L established by EC is rarely exceeded. 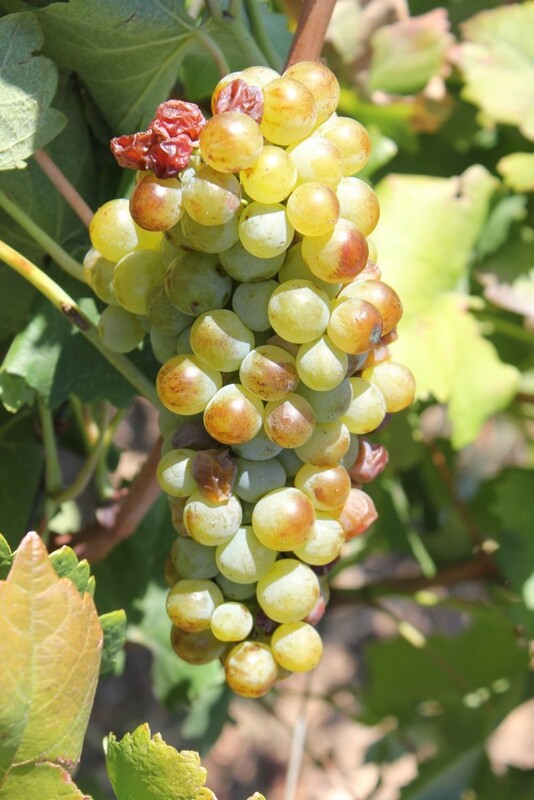 However, with the extreme climatic events that are frequently faced in recent years, the OTA problem is arising in wine as well in raisins/currants. Global warming has significantly altered the distribution of temperature variability and extremes as well as the precipitation patterns causing significantly higher frequency of exceptionally unfavourable years for several crops.